Travelling to Manila, Philippines? Learn the do’s and don’ts for foreigners in Manila with this practical cultural guide. 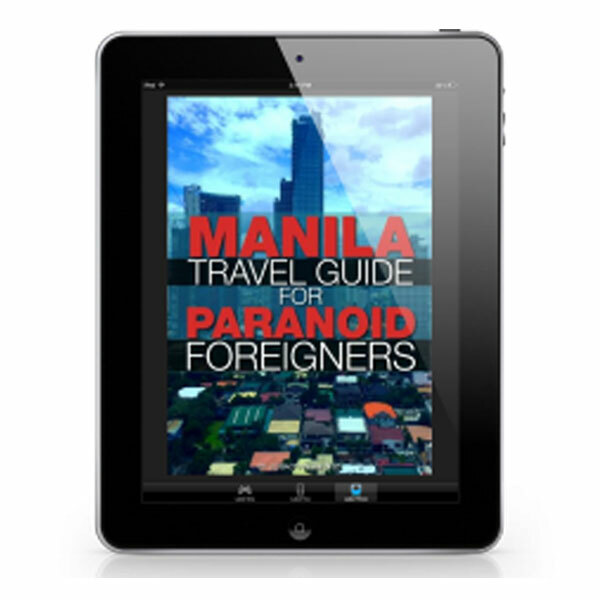 This ebook will give you the necessary tips for the best and safest experience in the capital city of the Philippines. Traveling to Manila and scared for your life? Have you heard of horror stories about travelers who have negative experiences while visiting the Philippines’ capital city? Fear not. This new travel guide will help you survive Metro Manila and all its’ craziness. It’s specifically written for paranoid travelers and it includes detailed instructions on how to get around safely as soon as you arrive at the airport, setting up your phone, connecting to the internet, where to shop, eat, drink and party, essential words you should be aware of to know if you are being fooled, and safety tips for you to greatly consider during your stay in the metro. It even gives you advice on how to be a good judge of character for your own safety if you decide to make new friends. This book makes you aware of the dangers of Manila and points you to a safe direction where you can experience Filipino culture without fearing for your safety every second of the day. Quedank is your online Filipino Trends, Pop Culture, Lifestyle, and Entertainment magazine featuring articles, blogs, videos, memes and more. Know more about us or contact us.